Selected as 2018 Children’s Book Council Notable Book. THE ADVENTURES OF BRONTE METTLESTONE IS HERE! 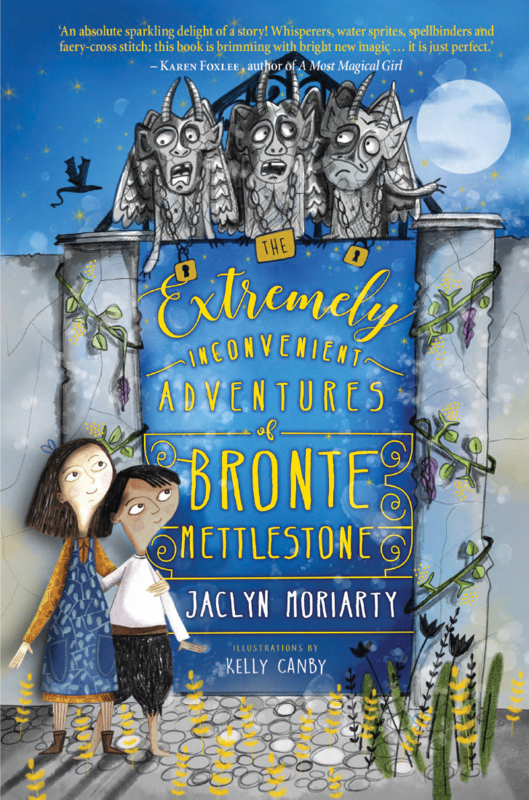 ``The Extremely Inconvenient Adventures of Bronte Mettlestone ... is an ABSOLUTE KNOCKOUT JOY FOR THE AGES…. Bronte Mettlestone is hilarious. Sometimes the humour is dark, but it’s carried off with a kind of twinkle in its eye; you are always in safe hands. The story has a huge cast of predominantly female characters who are all richly and complexly brought to life. Bronte herself is a highly excellent heroine. She is a noticer, and she has a lot of very astute observations to make about the people she meets. She is wonderfully frank and brave and I love her. You will too.